This week I will be opening up a trial trench to examine a prehistoric site, on the fringe of Glasgow, that was buried 51 years ago beneath a 1m layer of soil and turf. The site is called the Cochno Stone and it is one of the most spectacular and extensive panels of prehistoric rock-art in Britain. It is located in the lower reaches of the Kilpatrick Hills, in an area with dense rock-art concentrations on small outcrops and boulders. In 1964 it was sealed, put beyond use and rendered inaccessible. 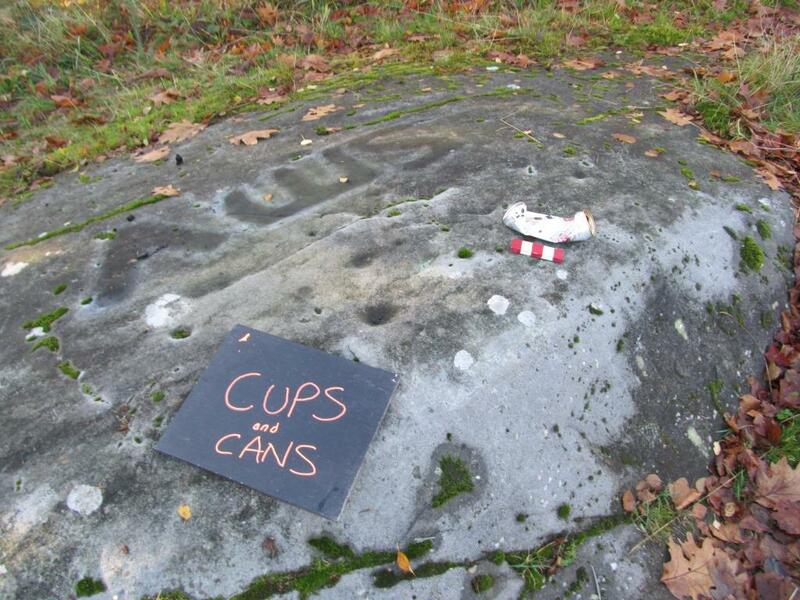 This rock-art splattered outcrop, rich with cups, cup-and-rings marks, spirals and two four-toed footprints was deemed, in the 1960s, to be under threat from the urban expansion of Glasgow. 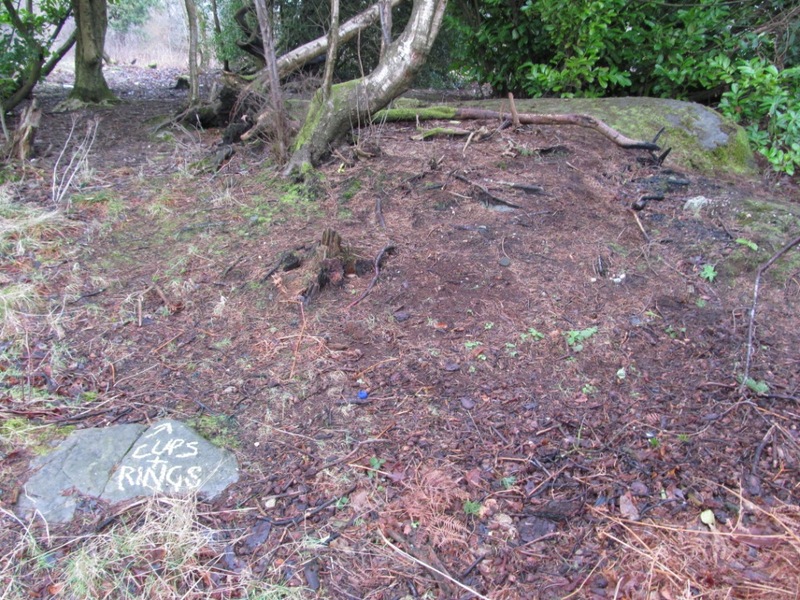 The Council-built estate of Faifley, now in West Dunbartonshire Council, encroached almost to the Cochno Stone itself. Too close apparently. Houses were built. Infrastructure was constructed. 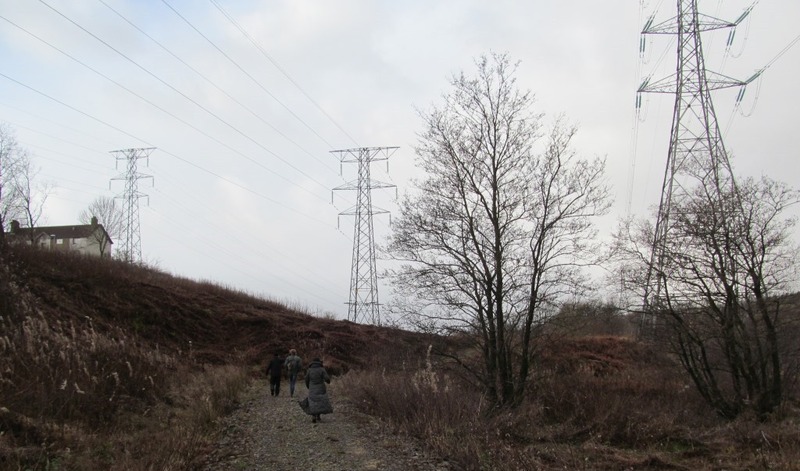 Power towers and electricity cables were added. Amidst this all lay the grand old Cochno Stone. Too close to the city for comfort, too vulnerable to the new Glaswegian overspill population armed to the teeth with knives, chalk, paint and pens, the tools of choice of the urban vandal. Academics at Glasgow University bristled, shook with fear. Fear for their stone, a scientific relic, becoming the plaything of the youth of today, the unwilling recipient of scars and scrapes in the form of initials and love hearts and dates. Expressions of love, friendship and regret carved in stone, daubed on stone, Glaswegian rock-art, Glasgow kissing the stone into submission and confusion. Then, in 1964, a solution was reached. The stone would be saved from itself and its new neighbours, saved for the future generations who might one day wonder why such effort was made to bury such a stunning stone. Saved from itself and its inherent wonderfulness and weirdness. Saved for a rainy day, for better weather, saved by the soil, piled high and deep, a last resort, a tidy solution. Encase the stone in a tomb of soil. Quietly, so no-one notices. In the dead of night. Furtively. Secretly. For the benefit of everyone and no-one, for the good of Glasgow but the disbenefit of Glaswegians. A dirty secret, hidden from view, never mentioned except in secret conversations and obscure academic articles. Which are often one and the same thing. Encased in a tomb of soil. Decades went by and the stone fell from memory like a dream. 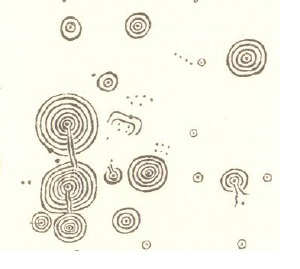 Ronald Morris, solicitor and rock-art collector, kept the Cochno Stone alive with his field surveys, drawings and lists. 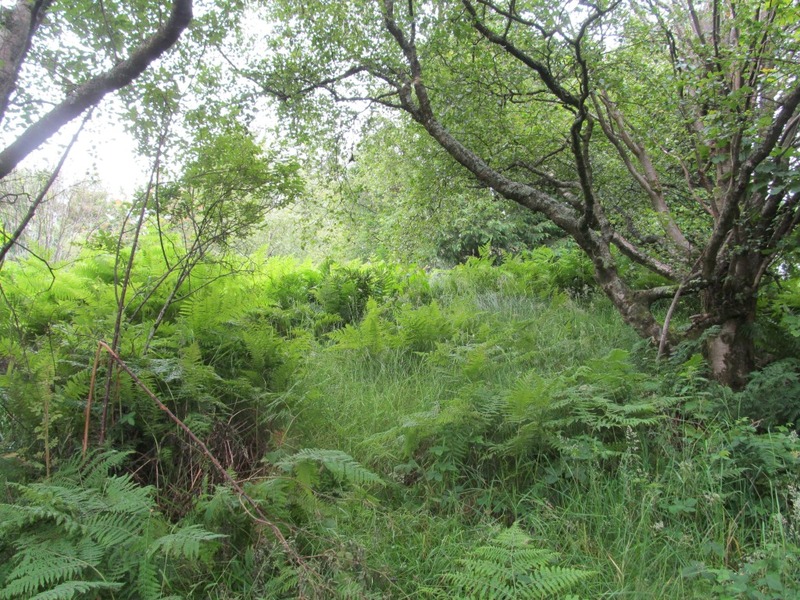 Euan Mackie excavated the rock-art panel at nearby Greenhills and noted briefly the sad loss of the buried Cochno Stone. Like a video tape played too many times the story lost focus and sharpness and clarity however, a sob story that fewer and fewer people wanted to hear. And even today the cup-and-ring marks of Faifley remain under threat apparently. 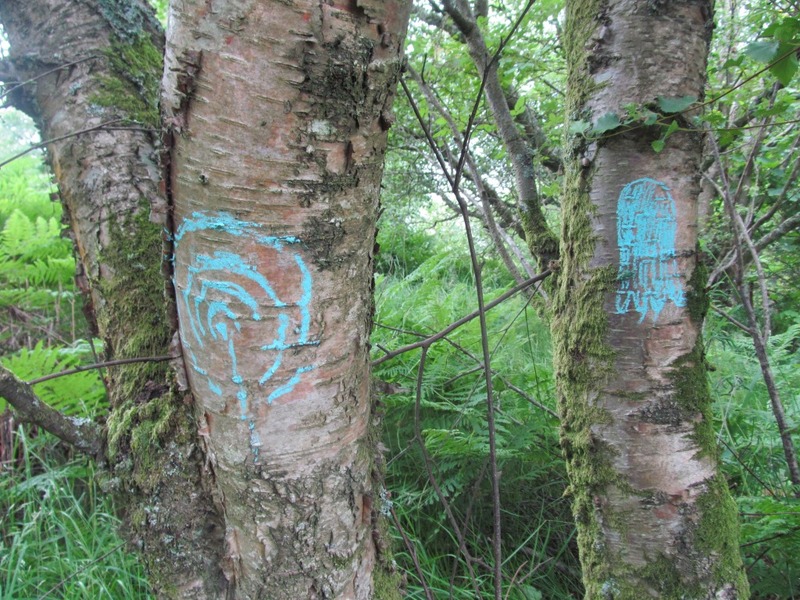 Other rock-art panels, unburied, are located in what became designated as Auchnacraig Urban Park in the 1990s. Their location was not made public even although the public knew where they were. (Local people in fact know much more about the rock-art and where it is to be found than almost any archaeologist.) And at least one of these, shown above, has been vandalised. But other more impressive panels have been left alone. To provide protection from modern people their location is not publicised whilst some have had to be buried. 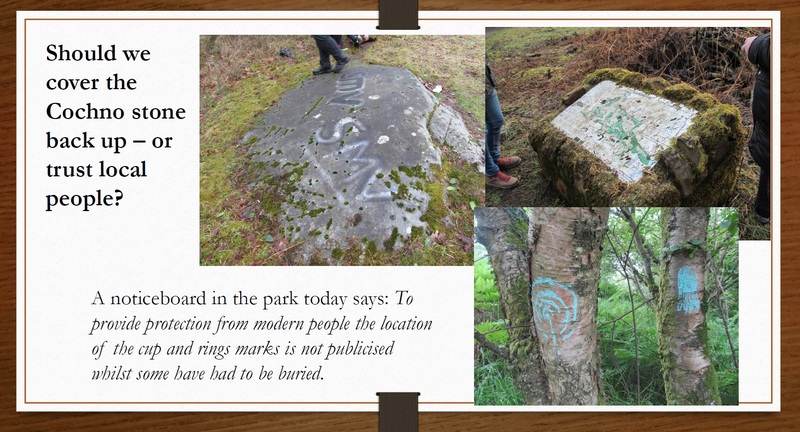 Today, because of vandalism, the best of the carvings, including the Druid Stone [Cochno Stone], have been earthed over for protection by Historic Scotland. There is no trust here (and it is a little unfair to blame HS here too!). But who can we trust? Looking back on archaeological engagements with the stone, there is not much encouragement. 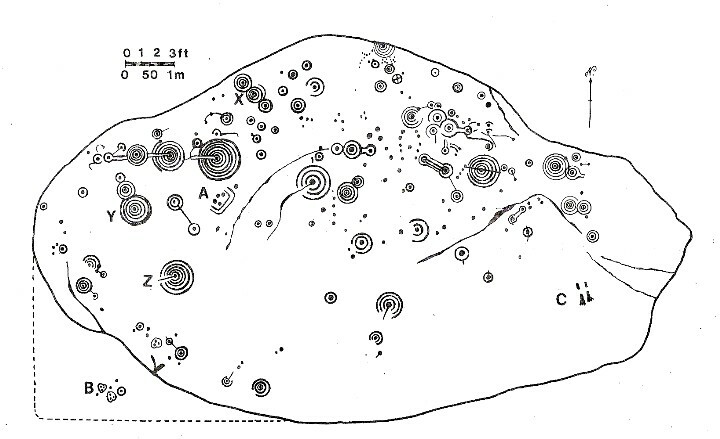 In 1937 Ludovic Mann, a recurring character in this blog, took an interest in the Cochno Stone and other rock-art, located near his seminal excavations at Knappers. 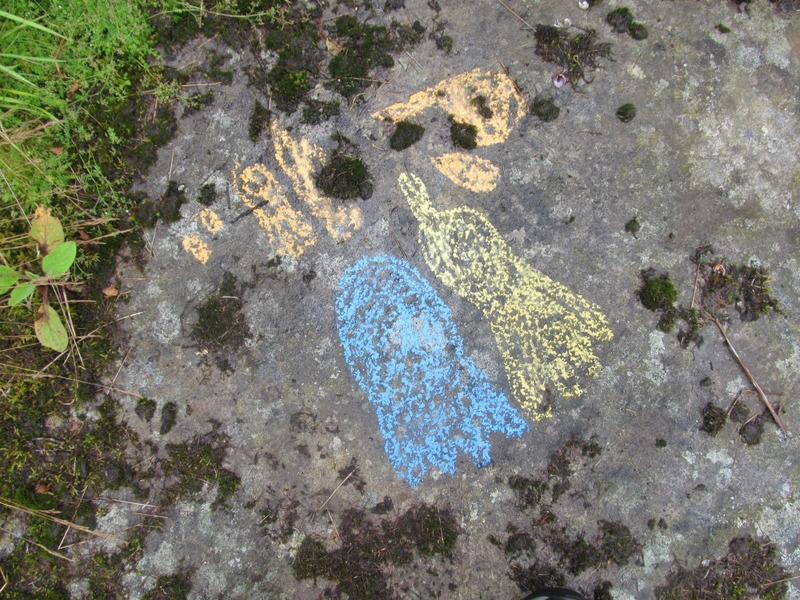 Mann painted the rock-art in white indelible paint, and to add to this middle class vandalism, he then daubed a grid of white lines all over the rock. It is almost impossible to find a photo where the Stone is not covered in this gaudy make-up. And it was enduring. Euan Mackie recently told me that when he visited the Cochno Stone in the early 1960s, it was still covered in Mann’s handiwork. So who are the vandals here? The Cochno Stone is dynamic, not static. It seems possible that motifs were added in the 18th and 19th century, such as a cross, and possibly also the enigmatic four-toed footprints found on the Stone. Perhaps too my excavation will uncovered 1960s additions, and it seems probable that Mann’s paint will also be evident still. The Stone is a palimpsest, a surface upon which many individuals, for many motives, have felt the need to leave their mark over the past 5000 years. And here is the key to what might be a chance for the Cochno Stone to be rehabilitated and returned to the community from which it has been separated from by a barrier of soil for so long. My excavation is being carried out in collaboration with Spanish heritage company Factum Arte and the film-maker May Miles Thomas (director of the wonderful film The Devil’s Plantation). The plan is to make a super high resolution laser scan of the Stone once the topsoil has been removed, and then recreate an exact replica of the Stone, to sit in situ once the real Stone has been buried again. This is a very exciting project and it will be a privilege to be one of the first people to see the Stone since 1964 on Tuesday or Wednesday next week. But might this be a missed opportunity? 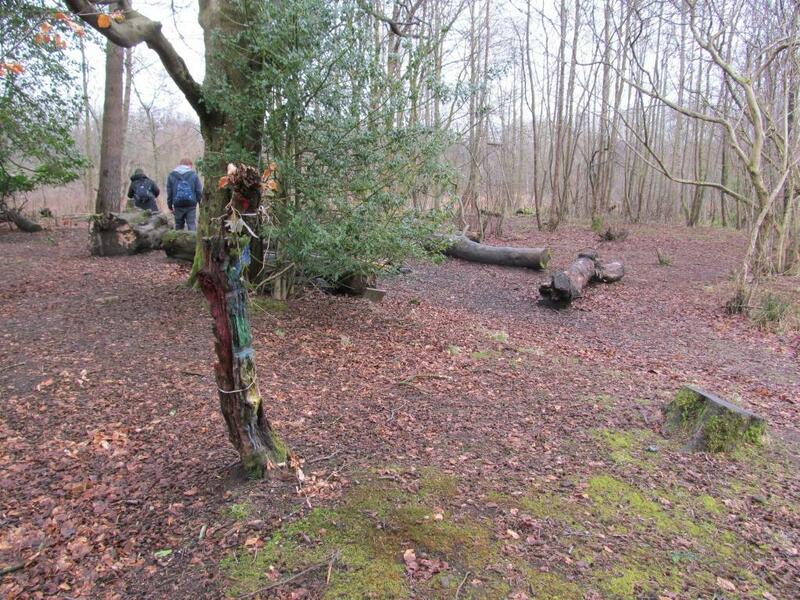 Why not leave the Cochno Stone exposed, rather than cover it up again? What about engaging the local community in the project, enthusing them about the Stone, explaining the international significance of this prehistoric site in their midst. Surely the best stewards of urban prehistory are those who live with it? To cover up the stone again, it could be argued, would once again be a case of the authorities telling local people that they are not to be trusted. I am currently working with teachers and pupils at St Mungo’s Academy in Falkirk on a series of lessons based on decision-making: in this case, the kids are being challenged to answer this questions – should the Cochno Stone be left open, or covered back up, at the end of the excavations? Can we trust local people, or can they make do with the replica? I am really fascinated to see what the children come up with over the next few weeks. After all, these kinds of decisions can seem simple but can have significant ramifications. Can it really be true that there are nearly 90 Bronze Age (5,000-years-old) fantastic, mysterious rock carvings on a stone measuring 42ft by 26ft (55ft by 35ft on some counts) in a field on the edge of Clydebank and that these have been deliberately hidden under the soil by “the authorities”, so to speak, since 1964? You. Are. Having. A. Laugh. Every archaeological site that sits in the landscape, extant, does so by the combined will of society to allow this to happen. We have a set of values and make judgements about what can be changed, and what cannot. In some cases, those in power take decisions away from the people, with the addition of fences, charges and fees, warning signs, pathways and in extreme cases like Stonehenge security guards. 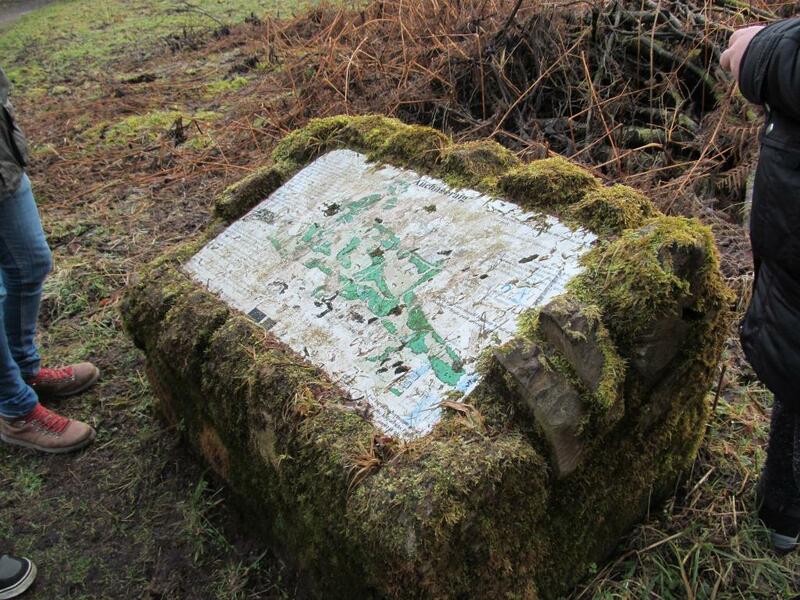 The Cochno Stone is another extreme case – buried for its protection. But this was a decision from another time and should, in my opinion, be revisited. Sources and acknowledgements: I must first thank Historic Scotland and West Dunbartonshire Council for permitting this 1st phase of excavation, and for Ferdinand Saumarez Smith of Factum Arte for inviting me to do the archaeology as it were. The St Mungo’s classes have been developed and mostly taught by Jan Brophy and Michelle McMullan, many thanks for their time and enthusiasm. 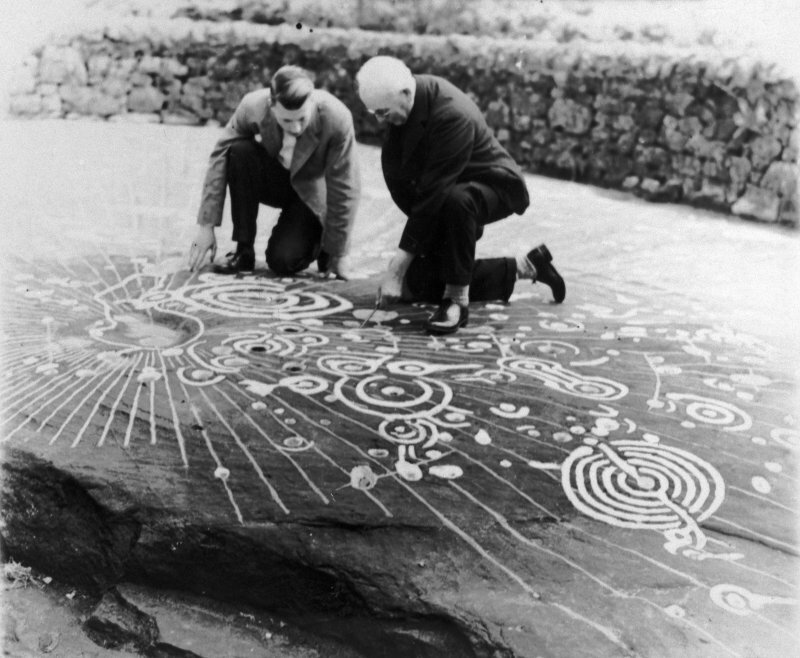 The photo of the Cochno Stone in the 1930s is copyright RCAHMS, image number SC01062363, and reproduced under their new creative commons policy with regards their images. The Harvey extract came from his paper on the Proceedings of the Society of Antiquaries of Scotland from 1889. This is a very interesting story with beautiful pictures of city outskirts. I wish we had such ragged city-limits in the Netherlands. I know where some are but I would like too see the rest could you let me know when your are going too them again ,brian rocks, 01389 872143 my Mobil, 07951812276, my gmail is brian.rocks233@gmail.com. thank you very much. Hi Brian, thanks for this, I’ll be in touch when I am next visiting! The other ‘missing’ and buried rock-art panels are something we want to find as part of the project.